Yesterday was the final day of Washington, DC’s, Cherry Blossom Festival. I would have been sad to miss the hordes seeking serenity from the pink cloud surrounding the Reflecting Pool, but we have our own show going on here in Tucson. Just outside my front picture window is a sunburst of a palo verde (Cercidium microphyllum). You can see in my photo of the hummingbird nest that the entire trunk and bark is green – and yes, that is for photosynthesizing! Leaves lose too much water here, which might be why this tree that minimizes their area (“micro” and “phyllum” meaning little leaves!) has been so successful. But how does that tough bark-y structure breath, if not by the same stomata that lose water in the leaves? I don’t know the answer to that, and a quick Google Search doesn’t either. That is far more water or monument than the palo verdes have here in Tucson. It’s easier to see the greenish surface of the tree – and the little hummingbird in her nest! – without all those gorgeous flowers to distract you. Despite the similarity in these trees’ structures and seasonal showy blooms, cherries and palo verdes have almost nothing in common. Palo verde (meaning “green stick,” this tree leaves nothing hidden) is in the pea family, Fabaceae, order Fabales, while the cherry tree common on the National Mall (Prunus x Yedoensis, or the Yoshido cherry hybrid) is in the rose family, Rosaceae, order Rosales. 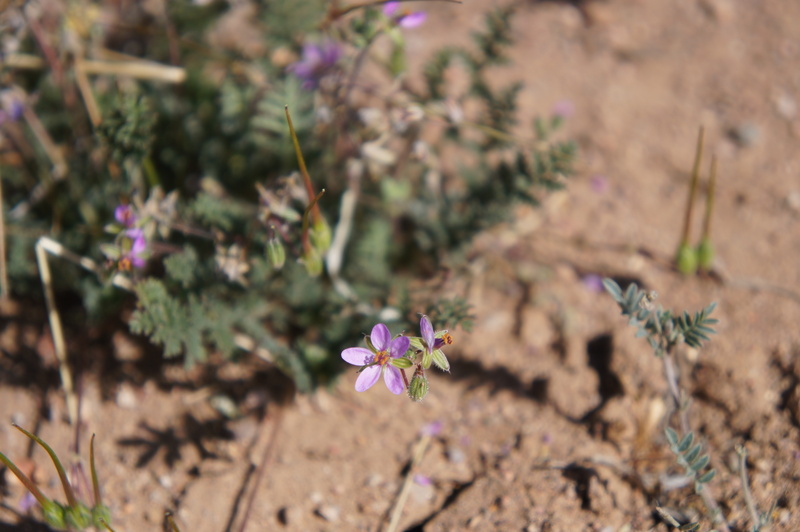 You have to get all the way back to their class, Angiosperms, which means they are both flowering plants, before they have some lineage in common. Given that the vast majority of plants on earth are in that class, they really don’t have much to talk about. So would I take the liquid sunshine of the palo verde over the delicate blush of the cherries? Well, we may not have an entire festival for the flowering trees (allergies, anyone? ), but we do have the Taco Festival here in Tucson today. Eat that, DC. I looked around at the faces nodding at me. Germinar did seem to be how one said “to germinate” in Spanish – another fortunate cognate. Okay, here's a picture of a seedling. El ha germinado. 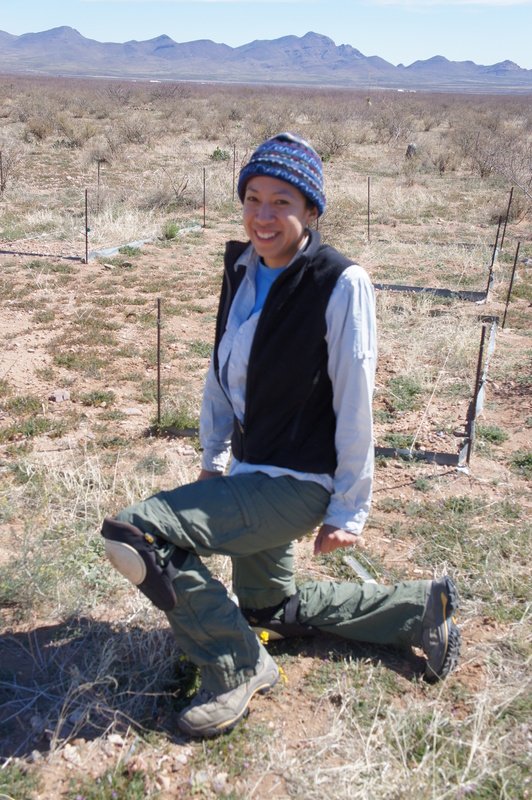 I was at the Next Generation conference, and very happy to be discussing my research plans with other scientists great like Daniel Morales and Blanca Romero studying plant, microbial, and animal dynamics with the same nasty invasive grass I am interested in, known often as zacate buffel or pasto buffel. Ecology is probably easier for me to discuss in Spanish than what I did last weekend, really. I know some of the vocabulary, much of the rest I can guess, and there is less slang and fewer funky subjunctive tenses. Wait, did I say ecology, with all its complex systems and policy implications leading to opinions? Sigh, never mind. Fortunately, most of these folks also spoke English (better than my Spanish), and I muddled through sufficiently to get some really exciting new results and suggested methods for germinating Sonoran perennial seeds from them! 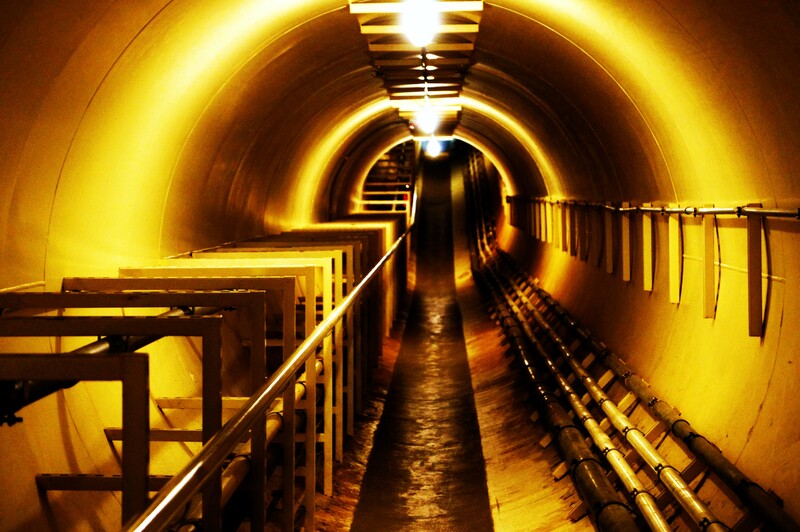 The tunnel leading to Biosphere 2's lungs. Those massive structures kept the glass from blowing out as the sun heated the enormous greenhouse daily during the two missions when it was sealed up. For Earth Day, Biosphere 2 was letting people wander through without a structured tour, and I found myself lurking alone in this transition point. I’ve had an incredibly inspiring and tiring week, attending the Next Generation of Sonoran Desert Researchers conference, rolling with Sonoran Desert Discovery to Earth Day events at the Desert Museum and Biosphere 2, seeing the undergraduate research I was a part of at the Ecology and Evolutionary Biology poster session… it’s enough to get me pumped up for a summer of fieldwork even as the temperatures hit 100 degrees already! I’m going to have to spread all this information and infatuation out over a few weeks. The plan is to update on Tuesdays, Thursdays, and Saturdays over the next couple of months, so that on days when XKCD isn’t fresh for you to procrastinate with, you can waste time looking at something in the Sonoran Desert instead. It might even be enough to make you wish you were sticking the summer out to see all the action of the monsoons too… or it might just make you glad I’m willing to do so and that you can get a window in on it from somewhere sane like Colorado or Pennsylvania or Brazil. Does this landscape make you wonder how so many species can coexist? 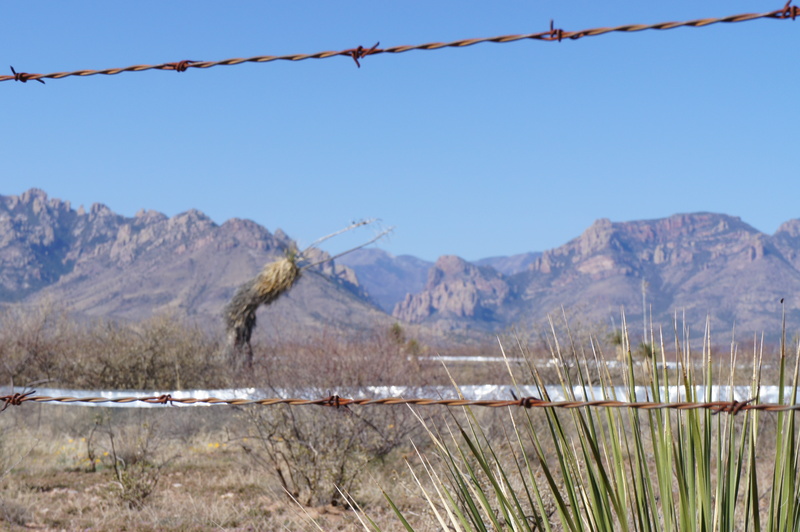 Well, it’s no tropical rain forest, but the San Simon Valley in southeastern Arizona IS home to a long term study on annual plant diversity and the rodent species that feed on their seeds. 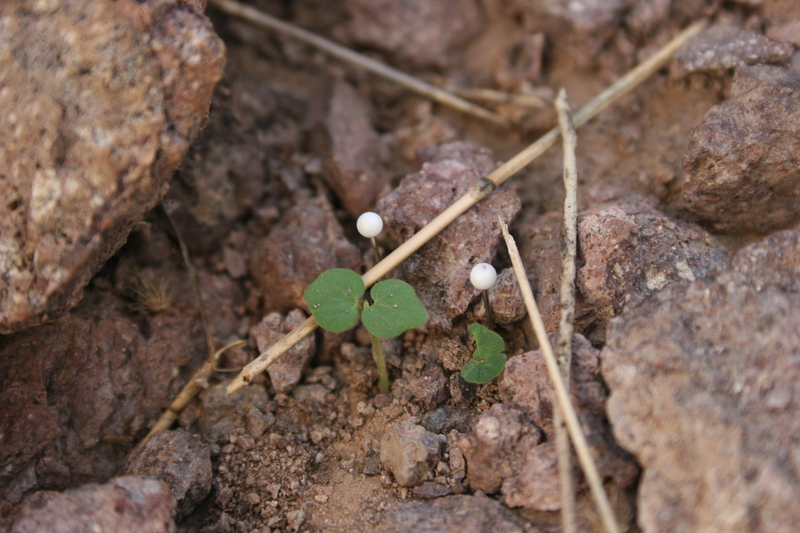 I posted below about the difference in winter and summer annual plants in the Sonoran Desert. 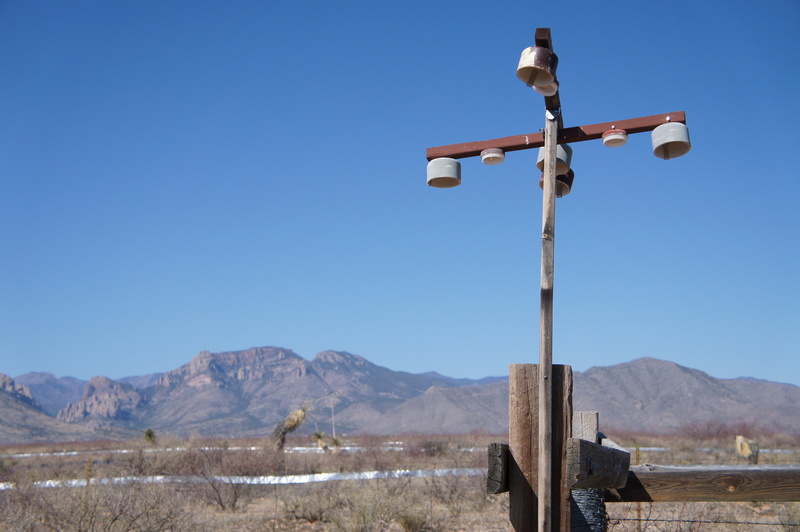 While this field site is in the Chihuahuan Desert, it also has a distinct winter community. 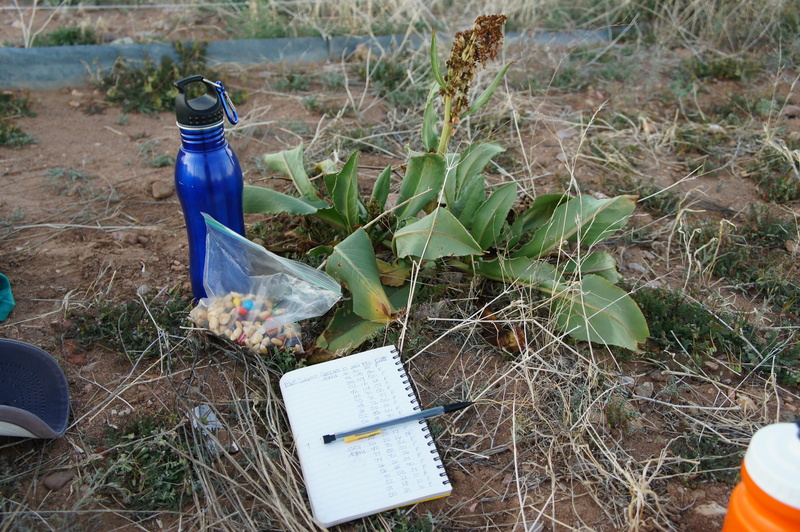 I helped a post-doctoral researcher (Pirate Danielle in the second picture) finish the census in March, as she and other graduate and undergraduate students measured literally thousands of teeny tiny plants that had grown all winter in these 80cm x 80cm squares. These were long days, starting at 6am for a three hour drive to the site, followed by eight or more hours crouched on the ground counting or recording, with the return drive looming! If Danielle’s new job as faculty at Smith College doesn’t work out, maybe she’ll publicize the “Portal Workout.” It involves assuming a position on the ground with your weight cantilevered forward, then holding for approximately eight hours. She was pretty strong by the end of the field season.